Namaslay with YogaByCandace® Season 1, Episode 2: This week's podcast is answering newbie yoga questions, and also leads you through a short yoga flow. The podcast is available on iTunes, Google Play, Spotify and pretty much anywhere you listen to podcasts. Or, you can also listen here. 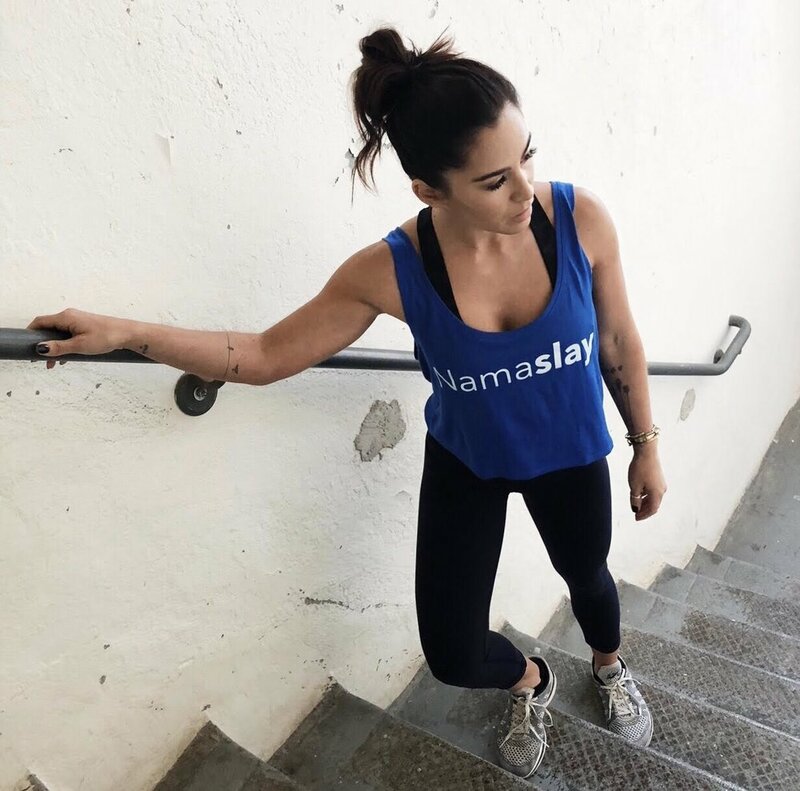 Our new Namaslay® crop tops are in, and we're also debuting a Namaslay® muscle tank style as well! Get all in, be vulnerable. I want to go to the Australian Crystal Wonderland. I read this book over the weekend and it was heartbreaking. What’s the most beautiful paragraph or sentence you’ve ever read?